APR 11, 2017 — A lot has gone on over the last couple of days. We know where my sister is located at least at present. I do not trust that the guardians will not move her again without telling anyone. The nursing facility they have my sister in is even lower rated than the last one. Sort of makes you wonder if they purposely go looking for these places. But then I remember that Karmas a B*****. And what goes around comes around. They have put her in a room that has a broken television so she has laid there for over a week staring at the wall 24 hours a day. 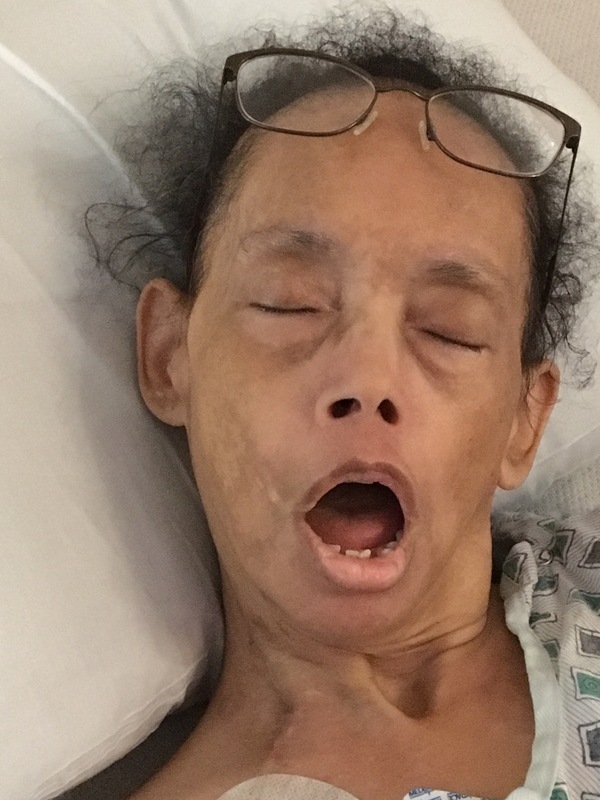 Her stuffed animals that had silver crosses around their necks and that were with her at Inova Fair Oaks Hospital when I saw her that morning all disappeared when she was transferred to Virginia Hospital Center. They stripped away everything that reminded her of home/family trying to break her will. This is why they use isolation as a torture tactic on prisoners of war. I took the guardians to federal court today for allegedly violating my sisters 1st and 14th amendment rights. The hearing was quite interesting. They finally admitted they were not going to do anything for my sister other than palliative care, this is why they were not fixing her hip. The male guardian said looking at her pictures he sees a person who is unhappy and in pain. Ummm you think? She has a severely broken hip. I’m pretty sure if he had a broken hip he wouldn’t be a happy camper either. However he did say if he was in her condition he would want someone to let him go and put him out his misery, I paraphrase. He complained about the pictures on the petition and Facebook page. Should we tell them about the others? 😉 So wave everyone because they are watching (like we didn’t know already). Essentially they are intentionally leaving my sister in pain and waiting for her to die. The judge was concerned about certain items in my brief. I will post it later. The guardian argued that they were not trying to isolate my sister by barring me and visitors. The guardian came right out and said they had no problem with other visiting they just didn’t want me there. By the end of the hearing the guardian said he was willing to let me see my sister but it would have to be a “supervised” visit and it would not be today. SMH. We shall see. They haven’t shown me much by way of integrity. Well everyone I only got 1.5 hours sleep last night so it’s off to bed for a few hours before I hit it again. 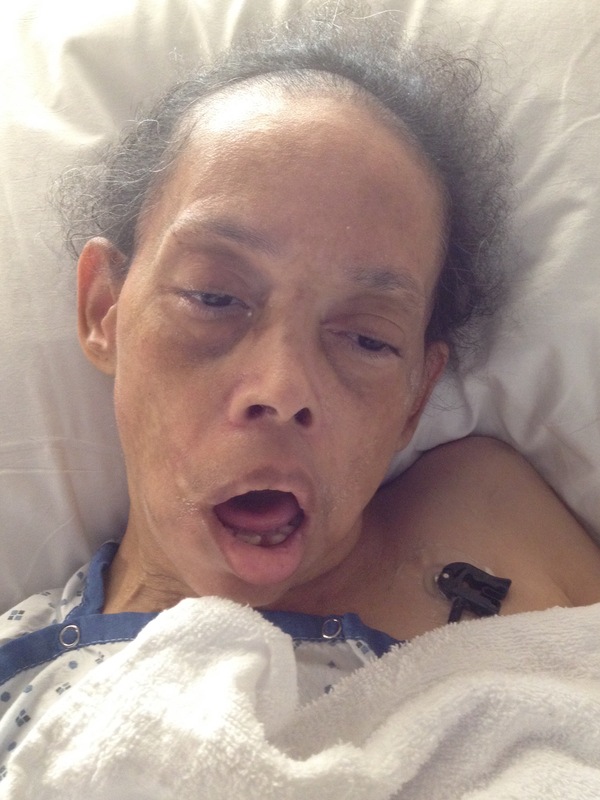 This picture shows how severely IFMC dehydrated her.